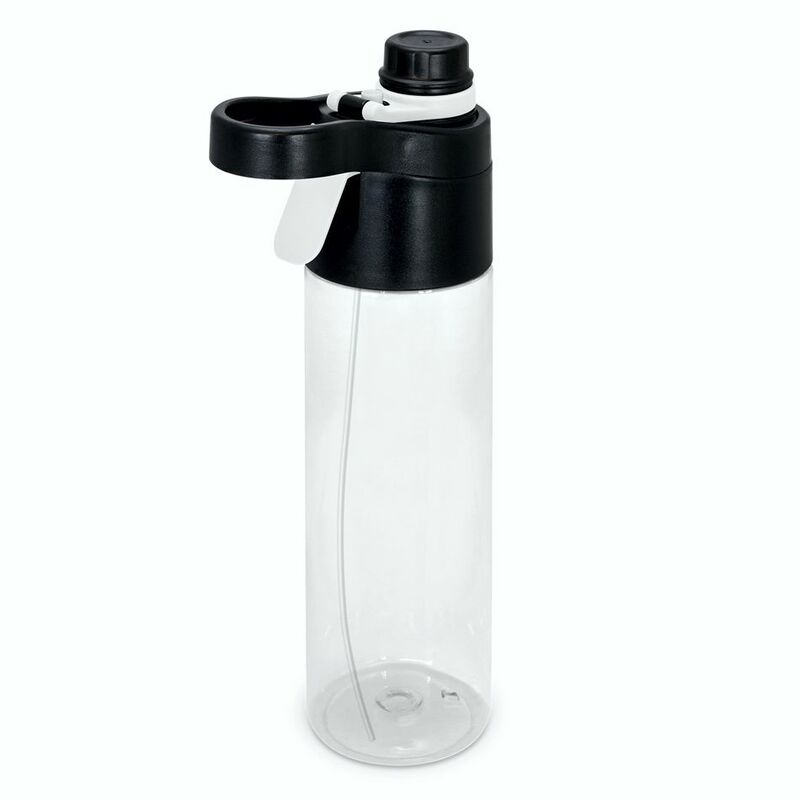 Radical 550ml drink bottle with a carry handle and a unique misting spray pump. It is manufactured from BPA free Tritan co-polymer which is impact and odour resistant- dishwasher safe and shatter proof. One colour one position estimated.